On the afternoon of August 5, 1853, a party of police began crossing the One Mile Creek outside Wangaratta. They used a log bridge that stretched from bank to bank, a distance of some 60 feet. At this time some bullock drays forded the stream, and a pair of new boots fell off a dray into the water. Constable Gray stripped to the waist, entered the creek, and began looking for the boots. Sergeant Major Quirk twice ordered him to get out, but Gray seemed not to hear him. He began to swim in the icy waters, and then appeared to get a cramp. He struggled violently to get out, and then sank without a trace. Quirk jumped in to save him, but had to get out because of the strong current. The police party searched until dark, without success. The body was found at 7 am the next day. About 11am on December 3,1853, Mullaly left the Sandhurst camp driving a heavily laden horse and dray. The dray was packed high, and Mullaly was sitting upon the front driving, accompanied by Constable Peter McLeod. On going down the hill close to the camp two of the bags on which Mullaly was sitting rolled off, and he with them. The bag on which McLeod was sitting also rolled off. When McLeod got to his feet he saw Mullaly stand up. Not thinking that he was seriously hurt McLeod went to stop the horse, which was walking away. He then saw Mullaly walk to the side of the road and sit down. He seemed to bend to one side of his body, and told McLeod that the wheel of the cart had gone over him. McLeod immediately reported the accident to the Sergeant Major, and Mullaly was carried to the camp hospital, where he died at 3 o’clock that afternoon. Between 8 p.m. and 9 p.m. on the evening of 26th February, 1854, Constable Hogan and Constable Will Stafford were performing duty at the Sandridge Jetty, on the lookout for smugglers. It was a dark and stormy night, and Hogan accidentally fell into the waters of Hobsons Bay and was drowned. About 6.00 am on Friday August 3, 1854, Constable Henderson left the police barracks at Crowlands to round up the police horses, which were grazing on the opposite bank of the Wimmera river. The horse he rode was known to have a tendency to stumble. About 9 am a local man found his riderless mount wandering near the town. The horse was soaking wet and a stirrup leather was gone. Local police searched for Henderson until nightfall, without success. Early the next morning his body was found in the river, about half a mile from the township. He had a number of severe contusions about the head, which had apparently been inflicted by his horse when it fell whilst fording the river. About 4 pm on August 8 1854 Constable De Laird was on duty with Lindsay, guarding four prisoners working on a tent near the gaol. The prisoners were inside the tent with De Laird, and Lindsay was on guard outside. De Laird then heard a gun shot. He went outside and saw that Lindsay had accidentally shot himself in the right arm. He was unable to go to his assistance because he had to stop the prisoners, who tried to escape. Lindsay was taken to hospital, where owing to the nature of the wounds it was decided that the only option was to amputate his arm. This was done, but Lindsay died the following day. At 7 a.m. on Wednesday, 2nd January 1856, Constable Brunton left Porcupine to go to Sandhurst to have his horse shod. At 11 p.m. that evening his steed returned unaccompanied to its stable, and the alarm was raised. A search later located Brunton’s body lying on the Sandhurst Road, his death having been caused by a fall from his horse. On the 7th of July 1856, Anderson was found drowned in a creek about 1 1/4 miles from Wangaratta. He was apparently on duty at the time, but the exact circumstances of his death are unknown. On Saturday, 2nd August 1856, Constable Bates was on a routine patrol when he attempted to cross the Loddon River, 5.5 miles from the Serpentine Creek Police Station. Because he could not swim he led his horse into the water and clung to it as it swam across, but when it reached the middle of the river it sank, dragging Bates down with it. The horse subsequently struggled to shore but the Constable, deprived of the animal’s assistance, was drowned. At about 7 p.m. on Thursday 16th October, 1856, Sergeant McNally and Constable John Moore, having received information that a wanted man named William Turner (alias Gypsy Smith) was at a miner’s tent about two miles away, rode in search of the suspect. Turner was well known to the police and was suspected of committing armed robberies in the area. They subsequently located Turner at the tent, and he made a desperate struggle to escape. Just as they had subdued him he called on an associate named William Twigham (alias Cockney Bill) to come and help him. Twigham came out of the tent carrying a double barrelled shot gun, and fired at the policeman, killing McNally and wounding Moore. The two offenders then made good their escape. However they did not remain at liberty for long, for on 23rd October, 1856 they were arrested at the Adelaide lead diggings near Amherst. Charged with the Sergeant’s murder both men appeared before Castlemaine Circuit Court. Twigham was convicted and sentenced to death, and hanged at Melbourne on 11th March, 1857. Turner was more fortunate. Because of legal difficulties the charge of murder did not proceed against him, and he pleaded guilty to the lesser charge of manslaughter and was sentenced to fifteen years hard labour. In the early hours of Tuesday, 21st October 1856, Constable Fallon was on patrol duty in the Mildura area when he was drowned whilst crossing a creek near the junction of the Murray and Darling Rivers. On the 14th September, 1853 the bushrangers Henry Bradley and Patrick O’Connor commandeered a vessel in Van Dieman’s Land and forced the Captain to take them to Victoria. On landing they went on a rampage of robbery and murder. The police were soon in hot pursuit and at dusk on the evening of Monday, 26th September 1853, they finally cornered the men at Mr. Kane’s Station near Kilmore. At about 5 p.m. on the evening of Monday, 30th August 1858, Constable Logan left Harcourt Police Station to patrol the road leading to the Porcupine Police Station. At about 6 p.m. that day Harcourt police were notified that Logan had been killed as a result of a fall from his horse, which had bolted whilst on the Sandhurst Road near Porcupine Creek. Cabot was a crew member on H.M.C.S.S. Victoria, which was then under police control for administrative purposes. Whilst the vessel was at King Island on 30th September 1858, he was reported as having been “drowned in the execution of his duty”. The exact circumstances of his death are unknown. Senior Constable Barnett was murdered soon after 1.00 am on Monday, 1st February 1858, at the White Hills Goldfield near Carisbrook. He had been attempting to arrest William Brook, who had just shot and killed a restaurateur named Charles Lopez during a bungled attempted robbery. Brook, who had been severely wounded in a struggle with Lopez, fired at Barnett whilst attempting to escape, and one of his bullets struck the policeman in the heart fatally wounding him. The murderer’s efforts were in vain, however, for he was soon arrested, and died later that same day from stab wounds inflicted by Lopez. The deaths of Lopez and Barnett enraged a local community already incensed by the actions of the ‘undesirable elements’ who had been attracted to the rush and who preyed on the diggers. Later that day a crowd of some 1500 miners assembled, and the ‘undesirables’ became a target for their vengeance. The meeting soon developed into a riot during which numerous buildings were destroyed and people assaulted before peace was re-established. Between 7 p.m. and 8 p.m. on the 26th April 1859, Detective Rendell went to the lighter “Pauline”, which was moored in the Yarra River, and search it for stolen property. A quantity of stolen goods was located, and the lighter’s master, Morey Tucker, was taken into custody. He and the Detective left the vessel together, and as they crossed the gang plank to the wharf Rendell fell into the water and was drowned. Tucker used this opportunity to flee the scene, and was arrested in Richmond the following day. The circumstances surrounding Rendell’s death were at first thought to be highly suspicious, as the Detective was a strong swimmer and there was bruising on the body apparently inflicted just before his death. However there were no witnesses to the event, and a later inquest returned a verdict of “accidental death”. On the evening of Wednesday, 17th February, 1858 a Constable arrested John Rutledge at the Star of the West Hotel, Belfast (now named Port Fairy) , for being drunk and disorderly. He resisted, and struck the policeman, who called on Sergeant Dodds for assistance. The two officers then subdued him and started to lead him back to the Watch House. As they walked along Sackville Street the prisoner took a bowie knife from his pocket and stabbed Dodds in the abdomen. Rutledge was charged with wounding the Sergeant, and was tried at the Belfast (now Port Fairy) General Sessions on the 12th May, 1858. He was found not guilty on the grounds of insanity, and was committed to the Yarra Bend Lunatic Asylum. Sergeant Dodds never recovered from the injury, and his condition steadily declined. He died on the 18th August, 1859 almost 12 months after his assailant had been pronounced ‘no longer insane’ and released from custody. On the 12th November 1859, Senior Constable Moylette was returning from the Brittania Goldfield to the Emerald Police Station when he became lost in the bush. Despite an intensive search he was never located, although his troop horse and items of equipment were found where he had abandoned them in the bush. At about 5.30 p.m. on 29th June 1860, Constable Reilly was on mounted patrol along Stratford Road, Sale, when he attempted to jump his horse over a fence at Greenwoods farm. However the horse bucked, threw him off and then fell on him, causing fatal injuries. At about 6 p.m. on Friday, 17th August 1860, Constable Campbell was performing patrol duties along Morses Creek Road, at which time witnesses stated they saw him riding “as fast as the horse could go”. He was apparently unable to control his mount, and some 150 yards further on he fell and was fatally injured. At about 11.30 a.m. on the 27th May 1862, Constable Conarty and Sergeant McDonald, who were escorting two prisoners to Dandenong, stopped to speak to Michael Kennedy at a location on the Melbourne Road between the Narracan Creek and the Moe Creek. Kennedy, a potential witness in a forthcoming court case, had been grubbing a tree prior to their arrival, and whilst they were speaking the tree fell and struck Conarty, who was fatally injured. On the 4th April 1863, Constable Strahan was performing duty in the Seymour area when a prisoner in police custody escaped and swam the Goulburn River. Strahan crossed the river in a boat, and with other police pursued and soon recaptured the offender. He then started to re-trace his steps, and accepted a lift in a passing dray. As they crossed at a nearby ford they got into difficulties and both the Constable and the driver were drowned. Shortly after 7.00 am on Tuesday, 4th August, 1863 O’Boyle was supervising whilst James Murphy, a prisoner on remand for horse stealing, cleaned the Warrnambool Court House. O’Boyle had knelt down to light the fire when Murphy struck him on the head with a 3 point (1.5kg) masons hammer, inflicting massive head injuries. O’Boyle was beyond medical help and died at 4.50 am the following morning. After he struck the fatal blow Murphy calmly walked from the Court House and made good his escape. The Constable’s body was located some minutes later, and the hunt began. Despite the large number of people used in the search Murphy evaded capture for two days, being finally arrested at a farm 25 miles from Warrnambool at 2.00 pm on Thursday, 6th August, 1863. Murphy was soon convicted of the Constable’s murder, and he was hanged on the 6th November, 1863 at Geelong Gaol. Shortly after 11 p.m. on the 25th September 1863, Superintendent Taylor was accidentally shot dead whilst he was cleaning his revolver at his home address. At about 9 p.m. on the 5th October 1864, Constable McElveen attempted to cross a flooded bridge over a creek in the Eltham area when he, his troop horse, and a man named Alfred Hooper accidentally fell into the flooded waters. Both men were drowned. 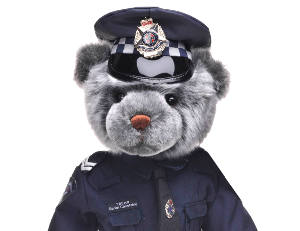 McElveen had been conveying voting papers from Whittlesea to Eltham Police Station, and as he was unsure of the route, and because the night was dark and stormy, he had enlisted Hooper as a guide. At about 3 p.m. on the 19th March 1867, Constable McCarthy was escorting a prisoner in the Ulupna West area when his horse shied. He let go the reins of the prisoner’s horse, which he had been leading, and attempted to bring his mount under control, but before he could do so he fell and received fatal head injuries. At about 2.30 pm on Friday, 20th November, 1868 Sergeant Hull came upon Constable Martin Conway and Constable Michael Flanagan arguing outside the police barracks at Hamilton. Flanagan had been dismissed from the Force that day for persistent drunkenness, and blamed his colleagues for the loss of his job. Hull spoke to Flanagan for a short time, after which the disgruntled Constable stormed off to his quarters, then returned almost immediately with his service revolver. He raised the weapon and shot Sergeant Hull twice. Conway, who had been standing nearby, grappled with Flanagan, and was able to subdue him with the assistance of another member. Hull died half an hour later, and Flanagan was charged with his murder. He was convicted the following March, sentenced to death, and was hanged at Melbourne Gaol on the morning of the 31st March, 1869. As a last resort he was allowed to go to the gallows in his old Mounted Constables uniform. Sergeant Leonard, joined Victoria Police in July 1853 and had a successful 16 year career with Victoria Police, working his way up the ranks. Sgt Leonard was stationed at Geelong when he died 19 August, 1869. Sgt Leonard’s wife wrote to Chief Commissioner Frederick Standish applying for gratuity. “He thought as he was about to be going on day duty the sickness would wear off and he consequently continued to perform duty for some days after but unfortunately he was compelled to give up” and place himself in doctor’s care. Sgt Leonard left behind his wife, Susan and three young children. 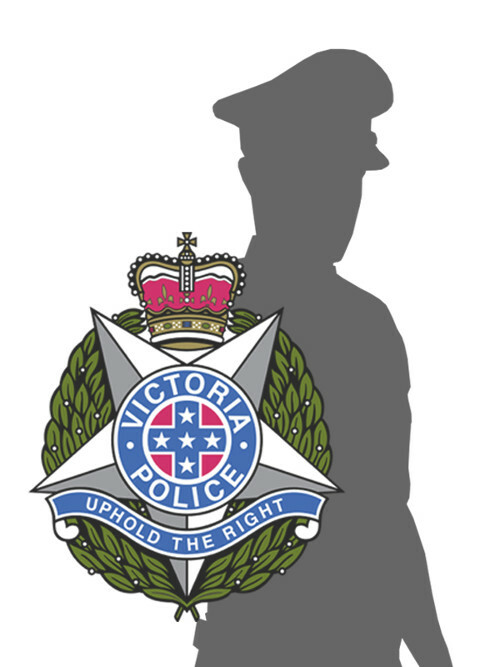 The Victoria Police Star has been posthumously awarded to Sgt Leonard. Between 5 p.m. and 6 p.m. on Thursday, 8th September 1870, Constable Kennedy fell from his horse and drowned whilst riding on the road to Snowy Creek. It was raining heavily at the time and there was minor flooding in the area. On Thursday, 27th October 1870, Constable McNamara was attempting to cross Snodgrass Creek Metcalf, when he was swept away by flood waters, carried into the Coliban River and drowned. It was raining hard at the time and the creek was swollen to many times its normal size. At 1.50 p.m. on 6th June 1871, Constable Deacon, who was returning to the Stud Depot with a dray load of wood, stopped to feed the horse outside Gibson’s Hotel, Oakleigh. He had taken the bit out of its mouth, and when putting it back in he had to take off the blinkers. At this time something startled the horse and it bolted, and Deacon fell over. A dray wheel passed over his back and he died immediately from the internal injuries that caused. At about 2 p.m. on the 11th November 1871, Constable Duff left Greta on patrol. At 4.20 p.m. the horse returned to the station with a broken bridle, and a search revealed Duff’s corpse lying on the roadway about a quarter of a mile from the police station. He had apparently been killed instantly after having been thrown by his horse at about 4 p.m. In the early hours of the morning of the 28th May 1872, Constable Curtin was travelling by wagonette on the Violet Town to Euroa road, in order to obtain a warrant for the arrest of a felon. During the journey one of the wagonette’s wheels bumped into a hole and Curtin was thrown to the ground, suffered internal injuries, and died soon after. Constable Herlihy died at Buninyong Station on the afternoon of 31st July, 1876. He had been riding his horse on patrol some three or four miles from Donald when the animal bolted and ran into a wire and rail fence, over which both horse and rider fell. Although Herlihy was fatally injured his steed was unhurt, however it was later destroyed as it was judged to be unsafe to ride. On the 18th March 1877, Constable Collins was on patrol in the Wangaratta area when he fell from his horse. He received internal injuries and died on the 23rd March 1877, at the Wangaratta Hospital. At the subsequent inquest the Coroner criticised the Local Council, which had contributed to the accident by allowing an unlit obstruction to be left on the roadway. On the 25th October, 1878 Sergeant Michael Kennedy and Constables Lonigan, Michael Scanlan and Thomas McIntyre rode into the Wombat Ranges searching for Ned and Dan Kelly, who were wanted for the attempted murder of Constable Alex Fitzpatrick at Eleven Mile Creek, near Benalla, on 15th April, 1878. That evening the policemen established a camp near Stringbark Creek, and the following day Kennedy and Scanlan set off to patrol the area whilst McIntyre and Lonigan remained behind. Late in the afternoon the camp site was attacked by the Kellys, together with their associates Steve Hart and Joe Byrne. Constable Lonigan was shot dead whilst Constable McIntyre was captured and held hostage. The outlaws then hid themselves around the camp, and left McIntyre on view as a decoy. 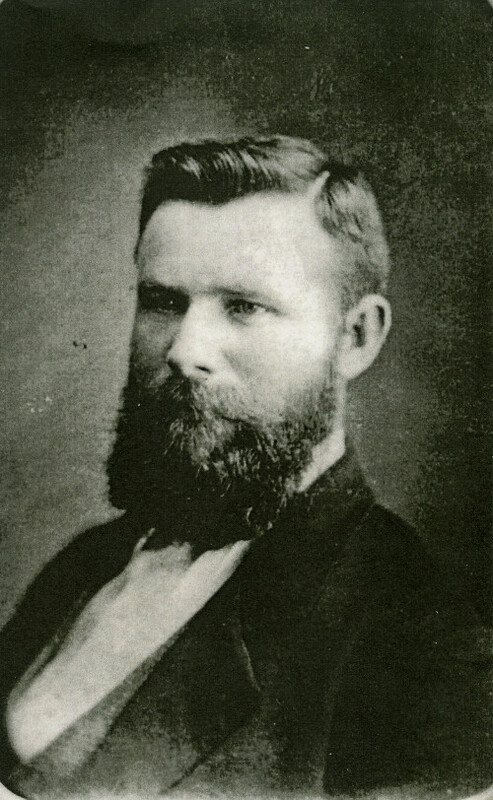 When Kennedy and Scanlan returned Ned Kelly called on them to “bail up”, then almost immediately the outlaws began firing and Scanlan was cut down. In the confusion McIntyre was able to escape and raise the alarm the next day. Kennedy remained outnumbered and alone. He was hunted by the Kellys for over a kilometre. He was captured and later murdered. Over the next 18 months the Kelly gang, as they became known, remained at large, only coming out of hiding to make two much publicised raids in which they took hostages and committed robberies. First; a combined raid on Faithfull Station and the township of Euroa; and later, a raid upon Jerilderie. Finally, in June, 1880 they tried to execute a ‘grand stratagem.’ After they received information that an associate, Aaron Sherritt had betrayed them, they murdered him to lure a large contingent of police to travel by train to arrest them. The gang took over the township of Glenrowan and imprisoned the residents, and wrecked the railway line in the near vicinity. They then settled down to wait; planning to set upon the police party after their train ran off the rails at the point of sabotage. A local resident managed to allow the gang to release him, and he warned the approaching police and averted a disaster. Soon after the gang were cornered in a local hotel with 60 hostages. A siege developed. Ned Kelly managed to escape, and returned later in his famous “suit of armour”, and attempted to shoot it out with police. He was soon overpowered. Next Joe Byrne was killed; and then much later Dan Kelly and Steve Hart took their own lives. 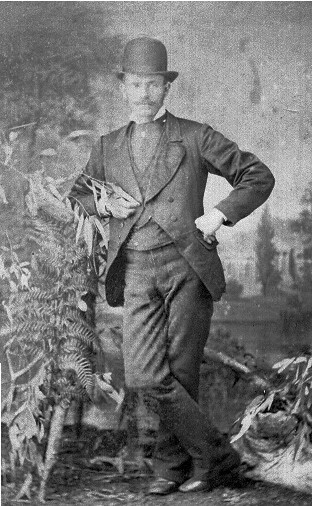 Ned faced trial at Melbourne for murdering Lonigan, and was hanged at 10.00 a.m. on 11th November, 1880. At about 9.30 p.m. on the 7th June 1880, Constable Mallavey commenced wharf patrol duty along the Yarra Bank at Melbourne. It was a dark wet night and at about 10.30 p.m. some sailors heard a cry from the water. A search was commenced, and at 10.50 p.m. it was discovered that Mallavey was missing. His body was located floating in the river early the next morning, and it was later deduced that Mallavey had tripped in a hole in the wharf planking and fallen into the water. At about 7 p.m. on 22nd February 1881, Sergeant Porter fell down a flight of stone steps at the Richmond Depot, and was fatally injured. He died at the Police Hospital at Wellington Parade at 10.05 p.m., 23rd February, 1881. On the 28th December 1881, Irwin was one of a party which went by buggy to a property near Wahring to recover a body found in a paddock. They arrived at the scene at about 3 p.m., and found that their vehicle was too small for the task, so Irwin rode off to a nearby property to borrow a dray. As he did so he was thrown from his horse and killed. On the 15th June 1882, Barrett was rostered on “early relief” from 5 a.m. to 9 a.m. During the morning he went to serve a summons and to reach the address he had to cross the rail line at Balmain Street. Prior to crossing he had waited for the 8.10 a.m. train from Melbourne to Windsor to pass, after which he walked onto the rails and into the path of the 8.10 a.m. train from Windsor to Melbourne, which caught him and carried his body along the line for some distance, cutting the head off and smashing it into fragments. At about 11 a.m. on the 4th May 1880, Fawssett was a passenger on a stagecoach which was making a sharp turn from Nolan Street across the embankment onto the Swan Hill Road, at Kerang. At this time some harness broke and the coach turned on its side. Fawssett who had been riding on the box with the driver, broke his leg. It later became necessary to perform an amputation, and although this operation was successful gangrene set in, and he died on 12th June, 1880 at Kerang. On the night of Wednesday, 6th January 1886, Constable Ryan escorted his niece to her house in White Hills and then announced his intention of checking the local Chinese camp. He was never seen or heard of again. Numerous theories were put forward to account for his disappearance, but none could be substantiated. There was speculation that he had been the victim of foul play, murdered by Chinese thieves whose activities he had been investigating, or conversely, that he had met with an accident and fallen down a flooded mine shaft or into a creek. However, despite a massive search his disappearance remains a total mystery, and at this time it is unlikely that it will ever be solved. On an unknown date in 1887, Constable Clarke arrested a man for being drunk in Humffray Street, Ballarat. He was conveying the prisoner to the Ballarat East lock-up when the man viciously assaulted him, kicking him in the groin and the back. One of the kicks ruptured the Constable’s liver. Clark complained of great pain at the time, and sought medical treatment. 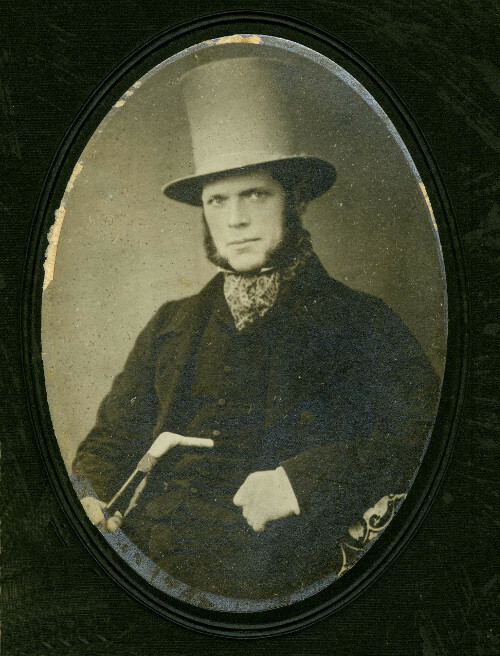 From that date his health deteriorated, and although he sought help from “nearly all the doctors in Ballarat”, there was nothing they could do for him. For the three weeks before his death he was confined to his bed. He died on the 27th of November 1887. He was buried in the New Street cemetery with full police honours. Despite extensive inquiries no further details of his death are known. There is no record of an Inquest having been held. However, a file located at the Public Record Office contains a letter from Chief Commissioner Chomley, in which Chomley states that “there seems no doubt in my mind that the Constable’s death was the result of injuries received in the execution of his duty”. At 9 p.m. on the 15th October 1888, Courtney commenced night shift beat patrol at Kensington, and was last seen alive at 11.45 p.m. at the Flemington Police Station when he telephoned the Carlton Police Station with an enquiry. At 5 a.m. the next morning a signal man found him lying dead on the railway track at Kensington Railway Station. His watch had stopped at 1.53 a.m., which was apparently the time of his death. A later inquest found he had been accidentally killed when struck by a passing train. 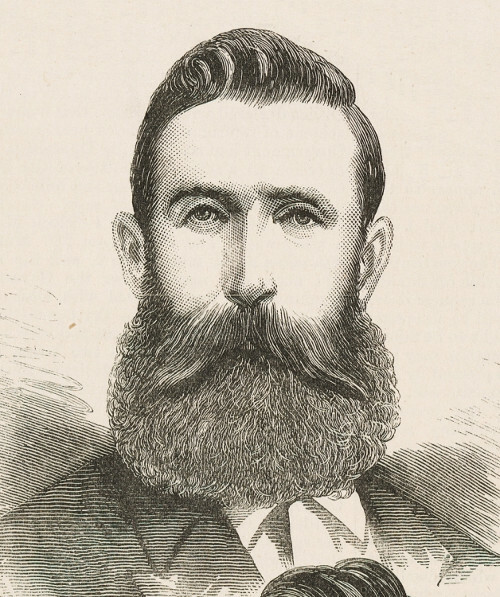 Constable Jame Maguire, 2907 joined Victoria Police in November 1877. After graduation Constable Maguire worked in many parts of regional Victoria. 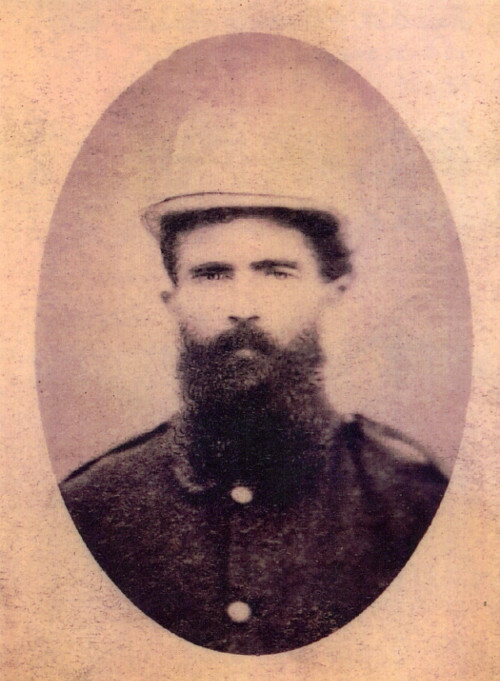 On the 16 February 1888, there was a bushfire in Violet Town where Constable Maguire was on duty. Constable Maguire ran on foot to the scene with others and “worked very hard beating the fire back”. The following day Constable Maguire complained of feeling ill. Remedies were applied but to no avail. Constable Maguire died on 18 February 1888, with his death certificate stating English Cholera. On 13th March, 1892 Constable Brown was walking in Williamson Street, Bendigo when he was unexpectedly struck in the mouth by a man called David Storey. Such was the violence of the blow, that Brown fell and struck his head on the stone water channel. His skull was fractured and he died as a result of the injury. Constable Slattery commenced duty at 5 p.m. on the 24th March 1893, after which he set off to go to a Magistrate to get some documents signed. In doing so he had to cross the local rail line. He got over the fence and walked across the rails at Dover Street, Newmarket, instead of using the overhead bridge, and was knocked down by the 5.19 p.m. Essendon to Melbourne train, and died soon afterwards. On the 15th February 1893, Senior Constable Holt was investigating a case in the vicinity of Bailieston, about five miles from Nagambie, when his horse swerved to avoid a flock of sheep which ran into its path. This dislodged Holt from the saddle, but one of his feet was caught in a stirrup, and as the horse gyrated wildly he was tossed around violently and received internal injuries. From that day his physical condition progressively declined, and he was finally forced to resign because of his ill-health. He died on the 25th September, 1893. At about 7 p.m. on the 14th February 1894, Constable Glynn was seen riding along a rough bush track in the Mangalore area. The following morning at about 6 a.m. his body was located about 50 yards further along the same track. It appeared he had been fatally injured when he had fallen, or been thrown, from his horse. At about 1 p.m. on Saturday, 10th August 1895, Mounted Constable Hoyem was at Quandong Hill, 1.5 miles on the Benalla side of Devenish, having just completed his regular monthly patrol of the locality. He had just finished speaking with Mounted Constable Chenhal of Dookie and Mounted Constable Slattery of St. James, and was attempting to mount his horse when it shied and he was thrown to the ground. His skull was fractured and he died three and a half hours later. At about 9.45 a.m. on Tuesday, 28th December 1897, Constable Rowley was returning from duty at Psyche Bend when he attempted to cross a makeshift bridge over King’s Billabong. The area was flooded and dangerous, and Rowley’s horse fell. The Constable was apparently driven down under the weight of the animal, and drowned.